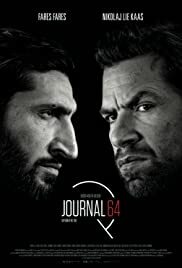 Director: Christoffer BoeWriters: Jussi Adler-Olsen, Nikolaj ArcelStars: Fares Fares, Nikolaj Lie Kaas, Nicolas BroSummary: Two workmen make an alarming discovery in an older Copenhagen apartment: hidden behind a false wall are three mummified corpses, sitting around a dining table with one empty seat left. The case quickly ends up on the desk of Detective Superintendent CARL MØRCK and his assistant, ASSAD, and it is up to them to figure out, who the mummies are as well as who the fourth seat is meant for. Carl and Assad put all effort in to finding the tenant of the apartment and they end up finding clues tracing back to the notorious institution for 'wayward' girls on the island of Sprogø, where extreme neglect and medical experiments in forced sterilization are a part of everyday life. Even though the horrors of Sprogø are a closed chapter in Danish history, there are now people claiming the experiments have continued to go on up until today. Carl and Assad start a race against time to prevent new murders and attacks from happening.